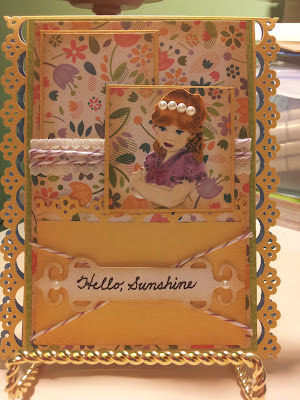 ~Jo's Scrap Shack~: Hello Sunshine! Today I'm sharing a card that brought me back to my childhood. Ya know when you do something or pass by something and it reminds you of a flashback of when you were a child? Creating this card did that for me. I used the Sweet Stop Sketch 150 for my card today. I had a lot of fun putting this card together. The ribbon I used was a white lace ribbon from Ribbon Carousel and I used some baker's twine from Twinery. I inked up all my edges using some antique linen distress ink and I used a Martha Stewert punch along the sides of my card and on one of my layers.The sentiment was stamped with momento tuxedo black ink and was framed using spellbinder's fancy tags. The main image is up on dimensionals as is the main layer. 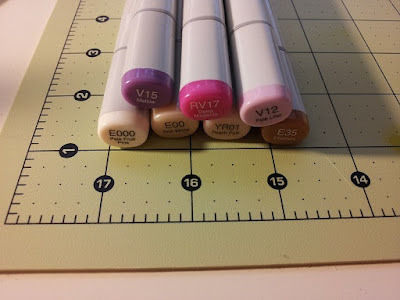 I did my coloring with copics E000, E00, YR01, E35, V12, V15 and RV17. I hope you all enjoyed my card today and thanks for stopping by! That is a beautiful card!!!! I love your coloring. Very nice! 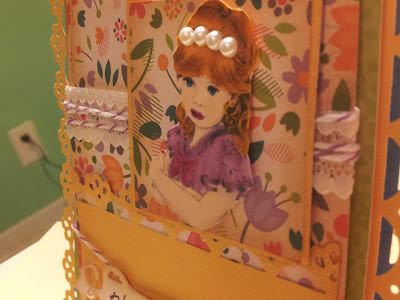 Such a sweet image, and that designer paper is lovely!The punched borders are fabulous. Thank you for playing with us at The Sweet Stop this week. Love the layers! And I love the border punches along the sides! BTW...did you notice who won the Great Impressions package from the blog hop???????????? OMGISH April I had no idea!!! Thank you so much for the sweet comment and for also taking the time to remind me that I won!!! Sooo Soft and pretty! Thank you for joining us in the Sweet Stop Sketch! I hope you will join us a again! Have a great weekend!